I think I read some comments saying apps like WhatsApp won’t be coming to Windows Phone. 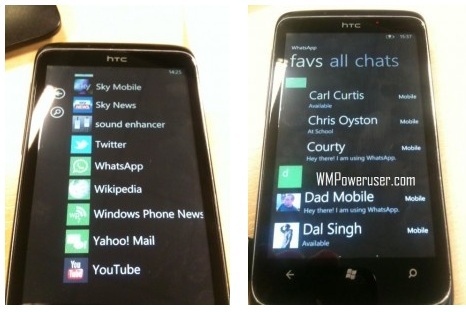 Well WMPowerUser reckons they have some screenshots of WhatpsApp above. WhatsApp is an oddly named but very useful cross platform messenger service that’s free to trial, and $1.99 per year if you wish to continue (according to the site). Whether it’s an iOS/Android/Blackberry or a ‘Nokia’ – now it seems to be coming to Windows Phone too. Cheers Chris for the tip.